Last Saturday I popped in to the flagship Jo Malone store in Paris for a hand and arm massage as well as a bit of retail therapy. Situated on the luxury shopping street of Rue Saint Honoré, the store enjoys a prime piece of real estate directly opposite the trendy Colette store. 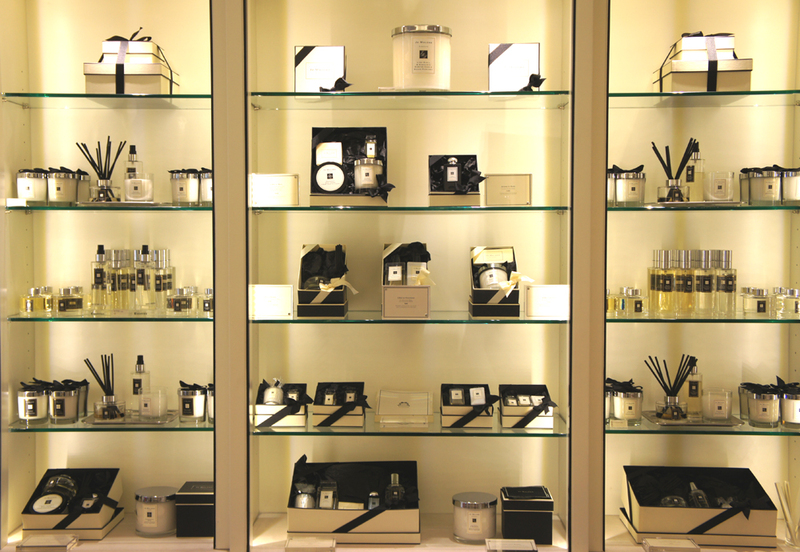 Like all Jo Malone boutiques, the store was bright, airy, exceptionally clean and smelled heavenly. Wish my collection looked like this! The quintessential British brand has become a luxe cult favorite. Oprah reportedly adores their bath oils, while Kate Middleton ensured that Jo Malone candles burned their sweet smell in Westminster Abbey for her wedding to Prince William. Princess Kate apparently loves the brand so much; she handed out Jo Malone party favors at her baby shower! Seeing as Jo Malone now sell five categories of fragrances, I arrived at the store with a list –an actual printed list – of scents I was interested in. 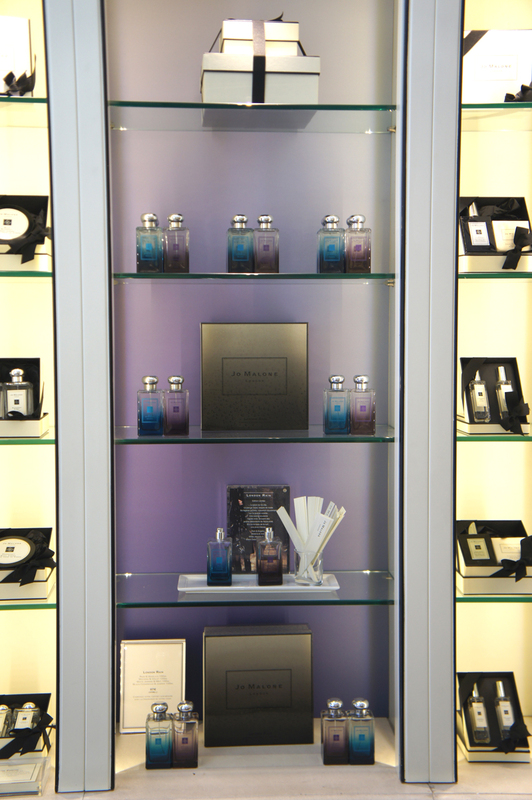 The lovely store assistant, Celine, was ever professional and took the time explain the key notes of each fragrance and the concept behind their creation. It was very difficult to narrow down the extensive list of choices, but in the end I was left with two very different scents. We decided to use one scent on each arm during the massage… supposedly to help with my final decision. 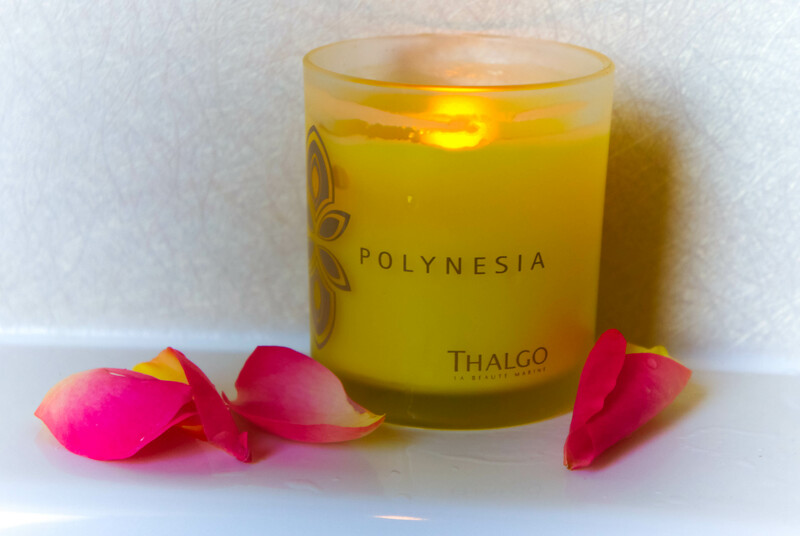 Celine started by a warm towel wipe followed by a gentle lathering of Nectarine Blossom and Honey hand and body wash. For my left arm I chose the Blue Agava and Cacao body cream followed by a generous spritz of the fragrance. On the other arm I went with the classic English Pear and Freesia body cream, again followed by a spritzing of the same scent. 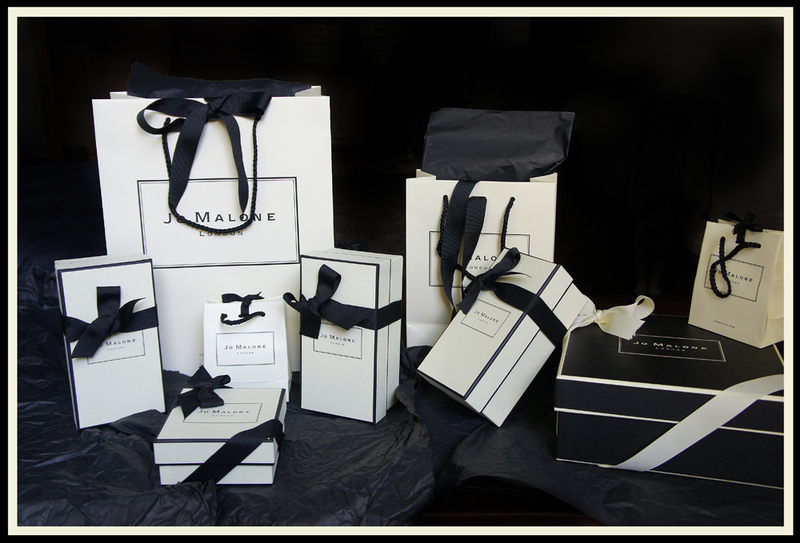 Wrapping purchases at the Jo Malone store is a joy in itself. 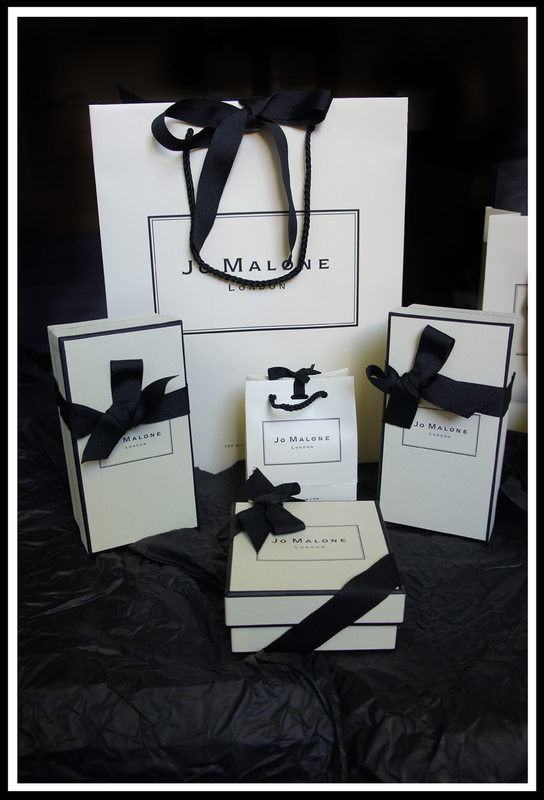 Each item is lovingly nestled on black tissue paper, placed in a luxurious Jo Malone cream and black signature box tied with an elegant ribbon. 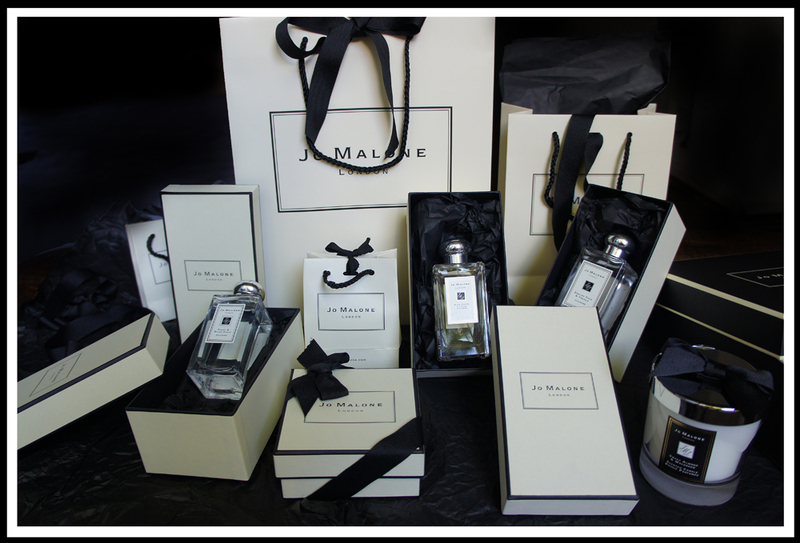 The stylist will then liberally spray another sheet of tissue paper in your chosen scent and place this inside a thick, creamy Jo Malone paper bag, again finished off with their signature black ribbon. It’s very hard to resist a purchase when the packaging is this special! 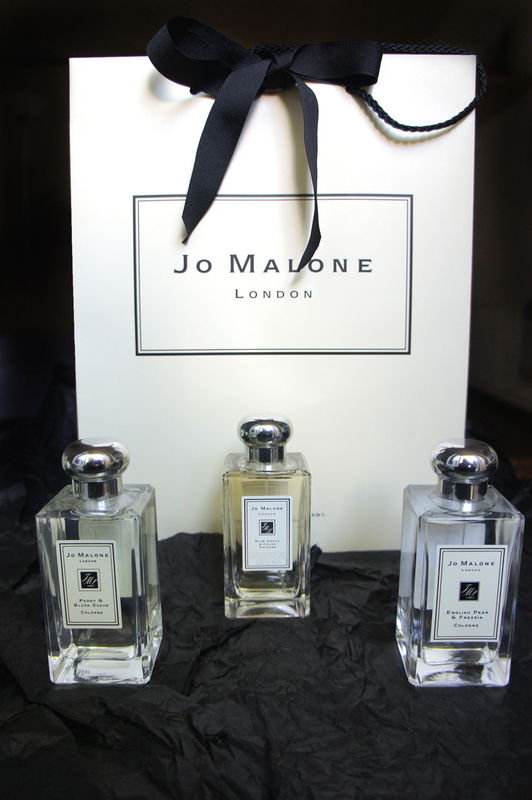 Jo Malone is renowned for their Art of Fragrance Combining or ‘layering’, which helps one create their own bespoke scent by liberally mixing and matching any of their fragrances. This concept was very new to me and I was quite intrigued by it. 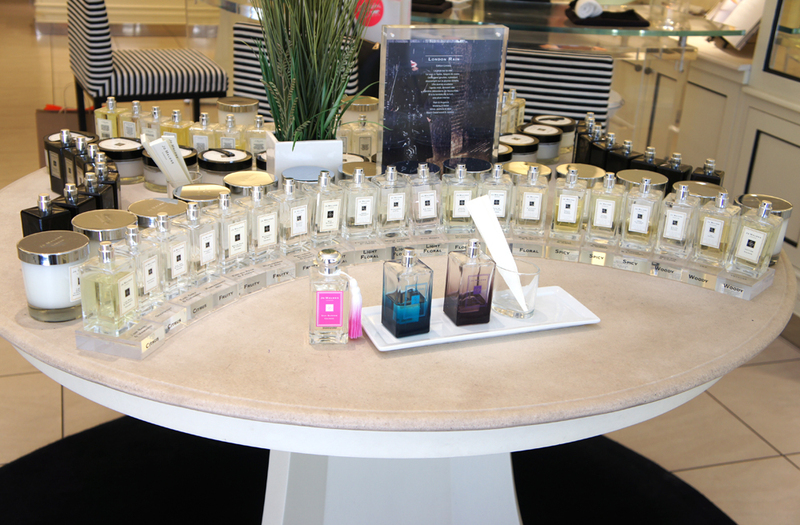 So before I left, Celine gave me a crash course in Fragrance Combining. English Pear and Freesia layered with Wild Bluebell. I absolutely loved these combinations, and I can’t wait to get my hands on the Wild Bluebell fragrance at my next visit. 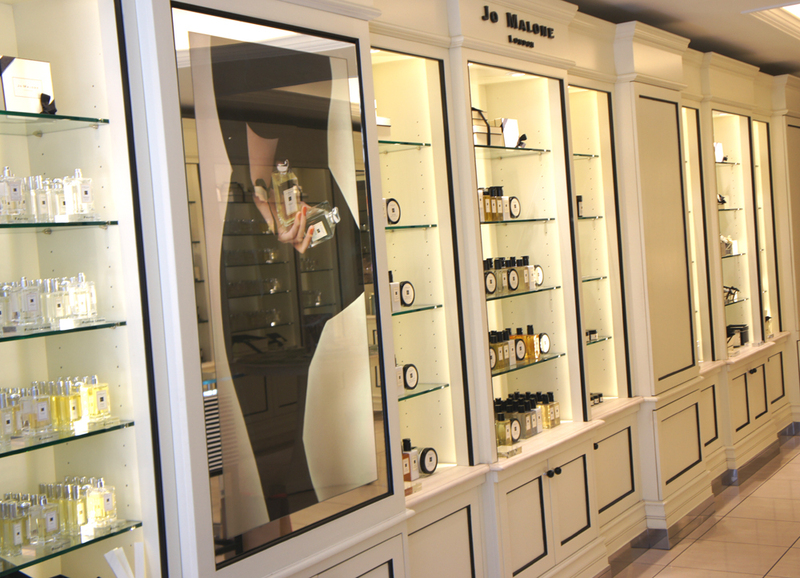 For a complimentary hand and arm massage and the aid of a professional Fragrance stylist to walk you through the art of fragrance combining, visit the Jo Malone boutique on Rue Saint Honoré. A leisurely stroll away from Split’s ancient Old City and a stone’s throw from its bustling harbor stands the Hotel Luxe – taking the concept of ‘boutique hotel’ to whole new level. The hotel is ideally situated for those wishing to tick off all Split’s tourist hotspots, yet still enough removed to give guests the opportunity to experience authentic everyday life in Dalmatia’s largest city. We arrived at dusk, having made the drive from Zagreb, but I took immediate fascination with the white-on-white lobby and attached bar. Splashes of color jumped out at every turn, but it was the undercurrent of deep purples against the alabaster backdrop that made the reception area ‘pop’ – so to speak. Our check-in was seamless, and soon we were eagerly riding the elevator to our superior room on the top floor. Throwing open the door, we were completely taken aback! 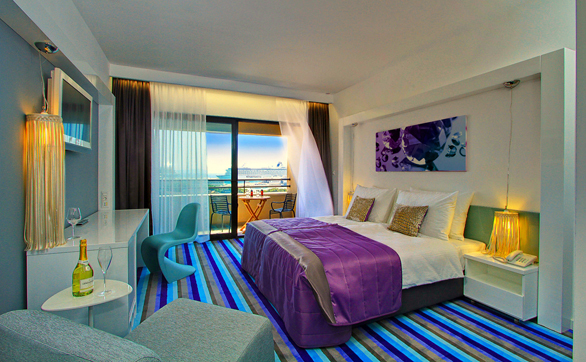 The photos we’d seen prior to our arrival did not do justice to the psychedelic look of the room! The flamboyant use of color stopped just short of being overwhelming. From the multi-striped carpet, to the silver scatter cushions; from the tasselled lamp shades to the flashy art on the walls – the effect was reined-in to perfection by the use of glass and chrome finishes, and again, the all-white furniture. The resulting overall look was ultramodern. Tossing our suitcases in the corner, we flung open the glass doors to catch a glimpse of the view from our balcony. 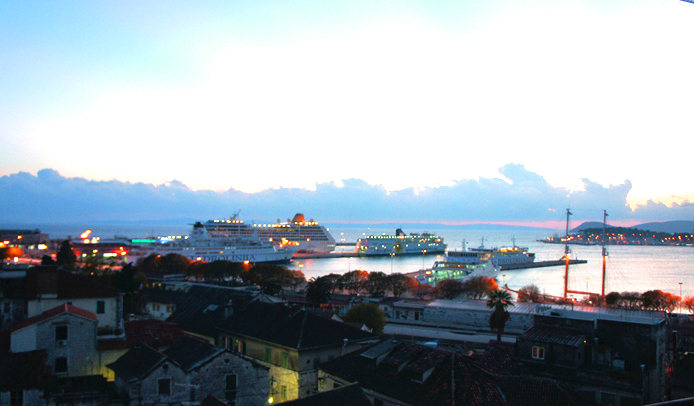 The ferries and cruise ships moored in the nearby harbor, their twinkling lights like glow worms on the horizon. After a quick shower (it’s worth noting the bathroom has a glass wall facing into the room, but it can be closed with a curtain) we made our way into the Old City for dinner along the Riva. The Riva, standing proud for hundreds of years in front of the Diocletian palace, is the bustling strip of waterfront with numerous restaurants, cafés and bars. After having our full on of the best pizzas we’d ever eaten, we made our way back to the hotel for a restful sleep. 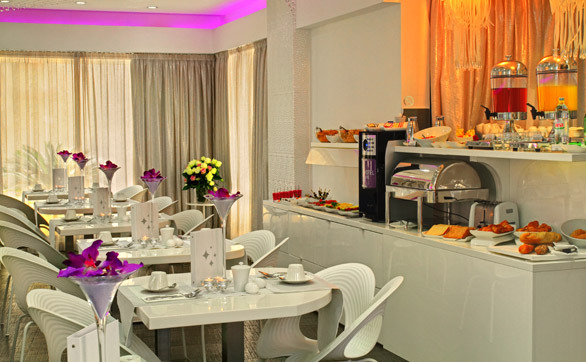 Our next morning commenced with buffet breakfast in the hotel’s restaurant. ‘Restaurant’ may be a bit of stretch, due to the size; but the breakfast spread was delicious, and more than adequate. Comprising of the usual –and some unusual – hot and cold dishes, there was also the option of made to order eggs or omelets. We spent our day exploring the history and charm of the Diocletian Palace, as well as making the uphill trek to Marjan for unrivalled views over the city. 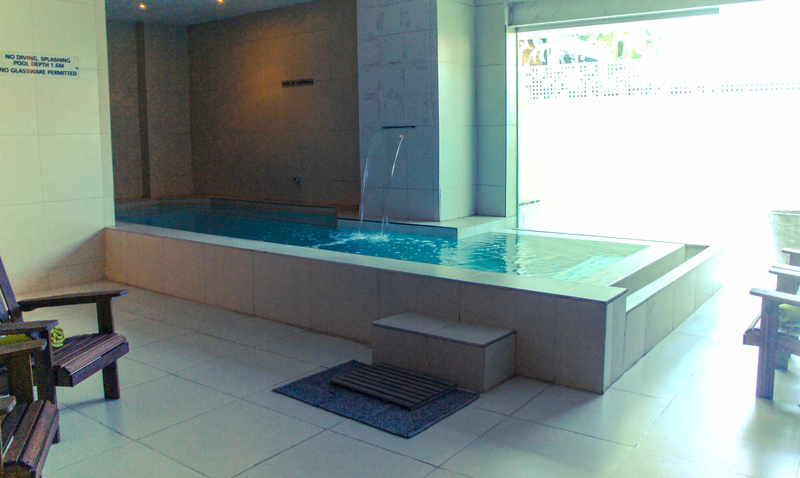 We ensured sufficient time in the afternoon to make use of the hotel’s spa facilities. Albeit small, the wellness area, like the rest of the hotel, was ultra-modern. 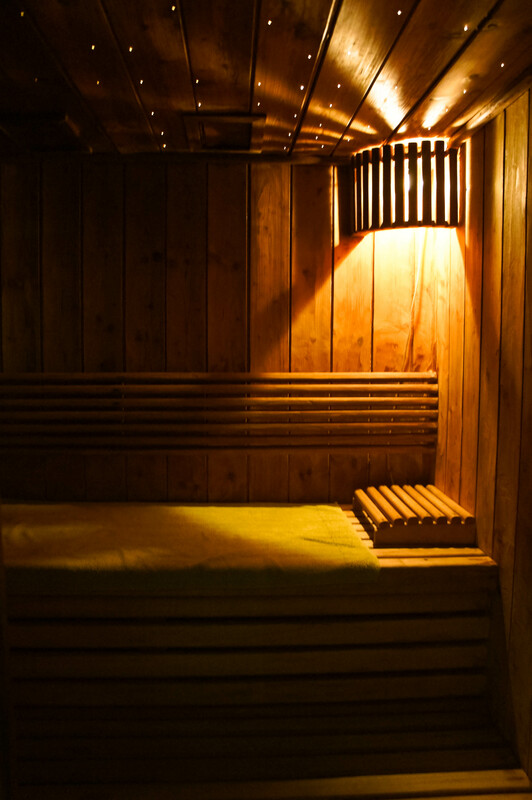 There was a fully equipped gym and a sauna, but the showcase of the wellness area was the jacuzzi room, with its starry skylight. 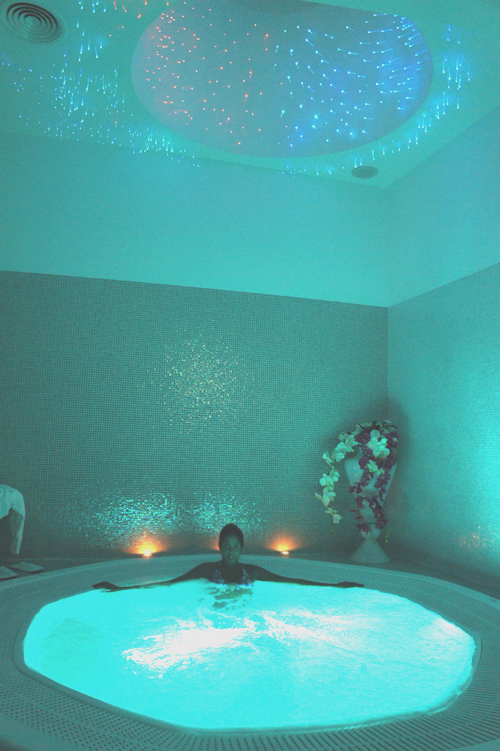 Darkened and exuding privacy, the whirlpool gave off an eerie glow against the white, space-age loungers. The entire effect was sheer modernistic luxury. 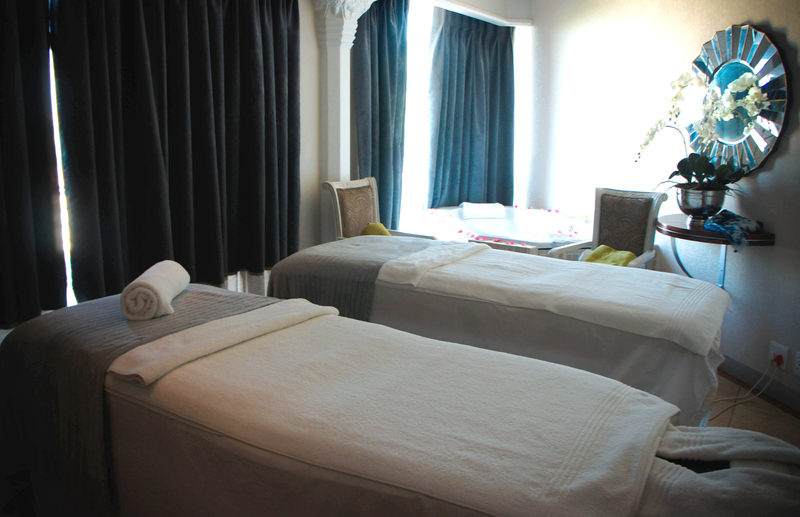 I had booked an aromatherapy massage which I enjoyed immensely. I was left feeling rejuvenated and relaxed for the rest of the afternoon. 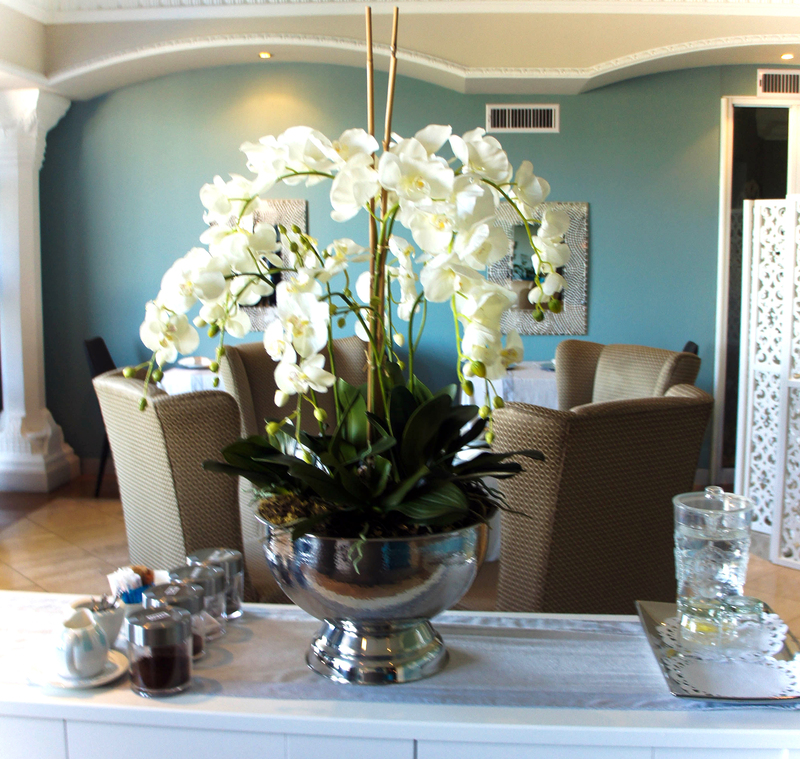 Boutique Hotel: I enjoyed the boutique feel of the property. Although smaller than other hotels we’ve stayed at, instead of feeling cramped, the hotel felt more intimate. Complimentary Wi-Fi: Unlimited and quick – always wins me over! 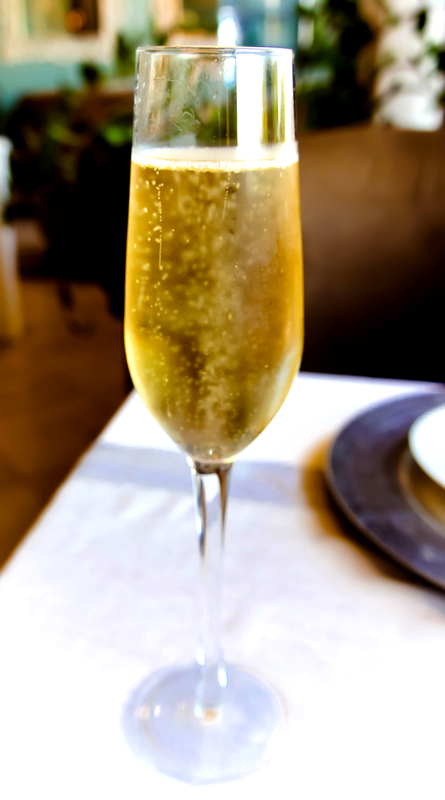 In-hotel dining options: Whilst I thoroughly enjoyed going out to the Riva for dinner and lunches, I would have liked to have the option of a hotel restaurant when feeling lazy. Parking: Although free for hotel guests, parking is available in a lot off a street behind the hotel. The street is EXTREMELY narrow, and due to the fact that traffic flows in one direction, if you miss the poor signage, you’ll be forced to circle around the block once more. 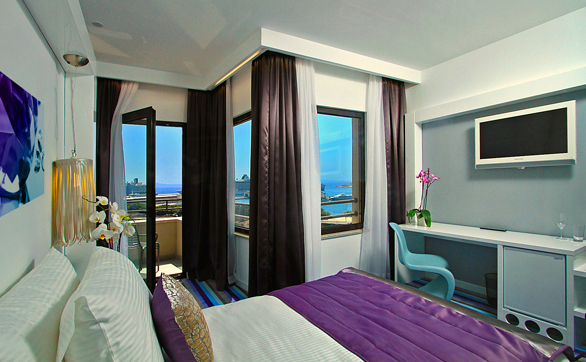 I will certainly consider returning to Split, and when I do, I wouldn’t hesitate to stay at the Hotel Luxe again. 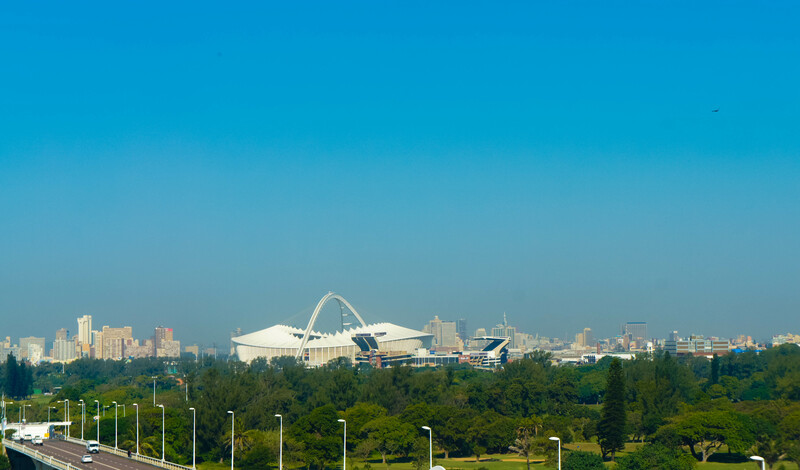 This post was featured in iAfrica Travel on 17 August 2013. Disclaimer: No part of this vacation (travel, accommodation or otherwise) was paid for by Hotel Luxe, Split. The views expressed in this review are from my own personal experience, and have not been prejudiced in any form. 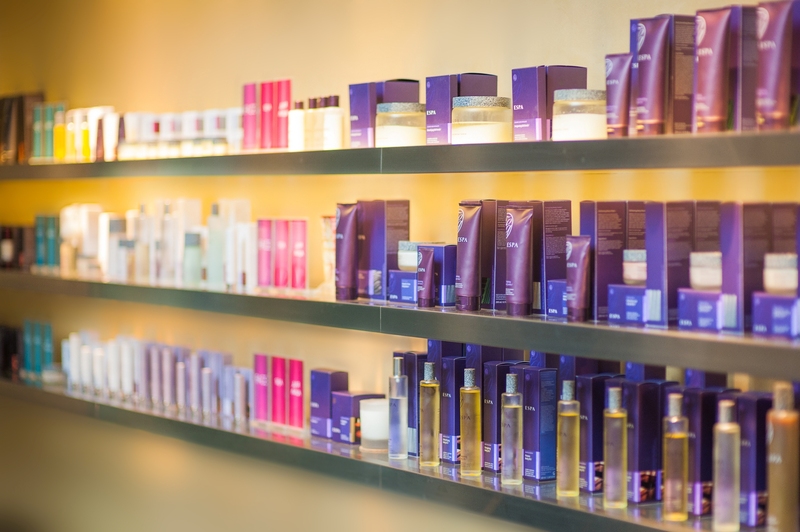 The Espa brand has cemented its image as one of the world’s leading spa creators, and Espa Riga is no exception to that standard. 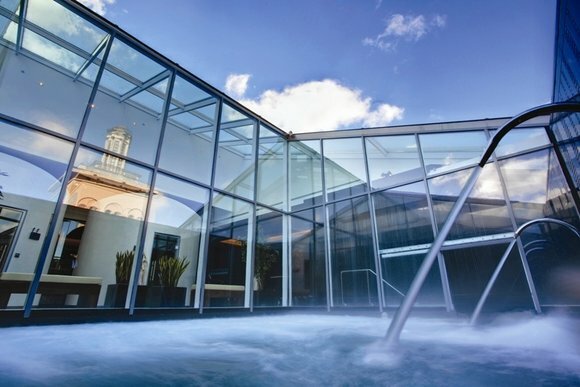 Condé Nast Traveller awarded Espa Riga the prestigious first place in the Condé Nast Traveller Reader’s Spa Awards for Favorite Overseas Day Spa in 2012. So when an opportunity for a business trip to the Latvian capital arrived, my hand was frantically waving in the air. (I’m a very diligent employee). I am not a fan of the Radisson Hotel group, having had some dodgy experiences in the past, but chose to stay at the Radisson Blu Latvija for convenient access to the spa (Espa Riga is situated on the hotel’s premises, but also has a separate street entrance for non-hotel guests). 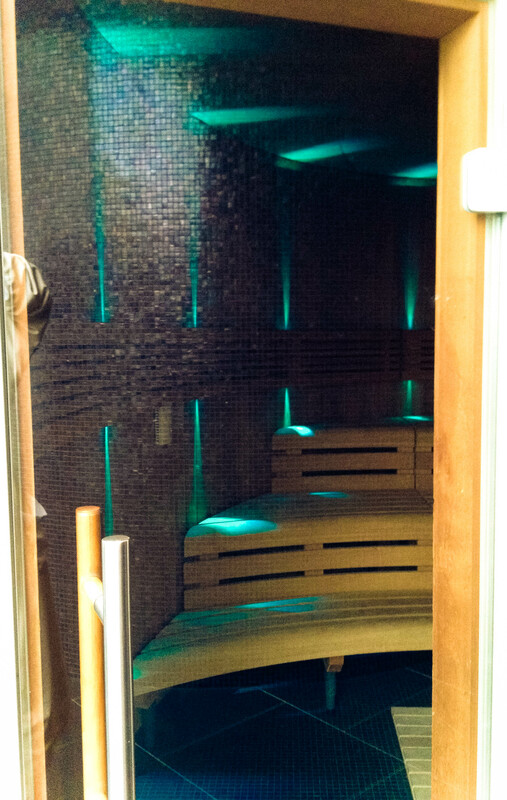 I had booked a day spa package that included full use of all the heat and water experiences (vitality pool, saunas, steam rooms), a back massage, a facial, a scalp massage and hand treatment with paraffin gloves. 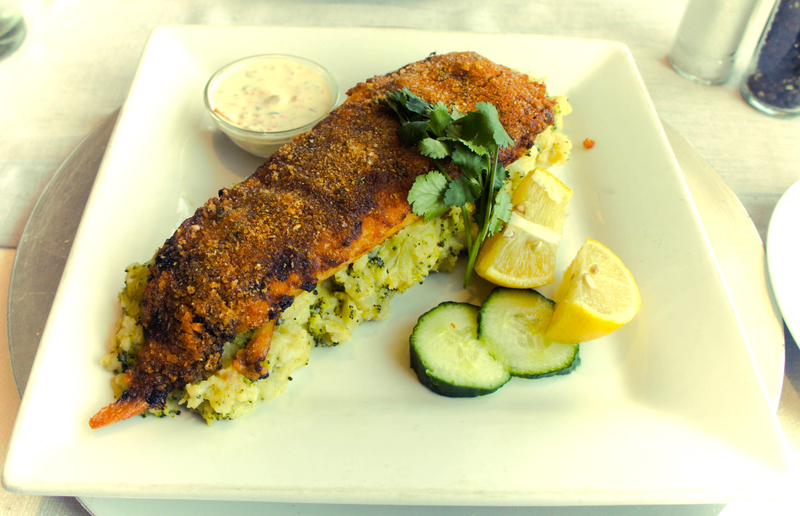 The package also included a 2 course meal at the Spa Café. 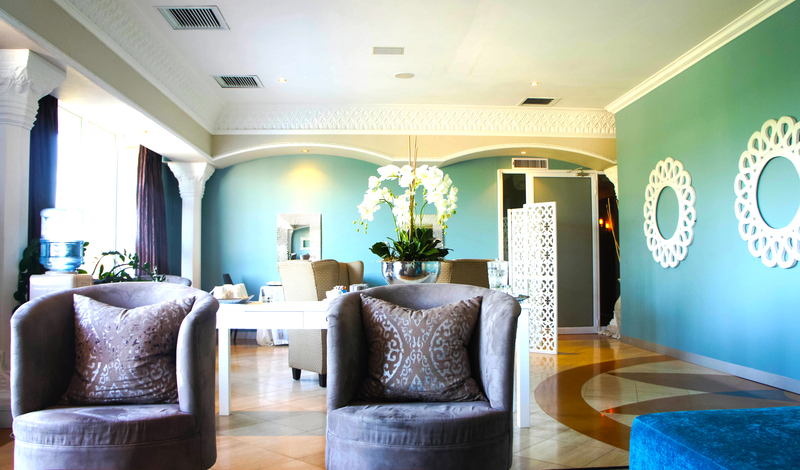 I had booked my treatments to commence at 10am, so promptly at 8am; I arrived to enjoy 2 pre-treatment hours in the spa’s renowned facilities. Upon checking in, I was offered a tour of the 6 floors. I had read that spa’s décor had been inspired by the opposing elements “Fire and Water”, and this theme surely came through in the details. No detail was spared on the exquisite interior. 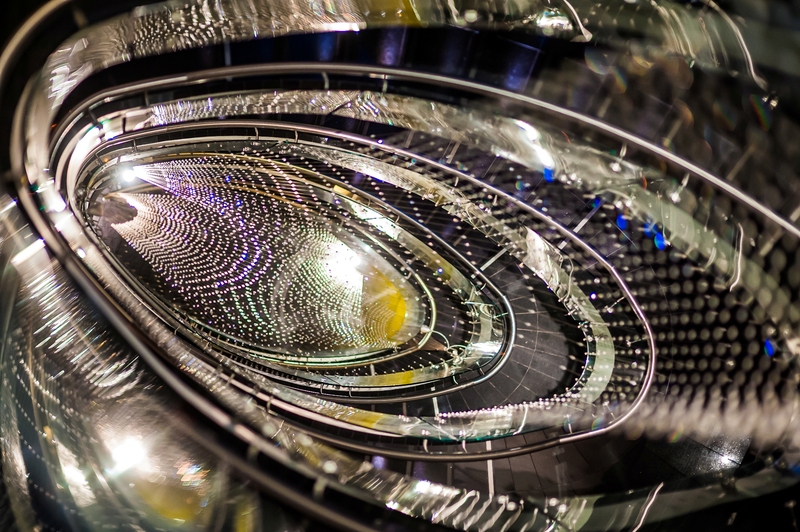 The entire 6 floors were focused around an eye-popping spiral staircase of black mosaic. 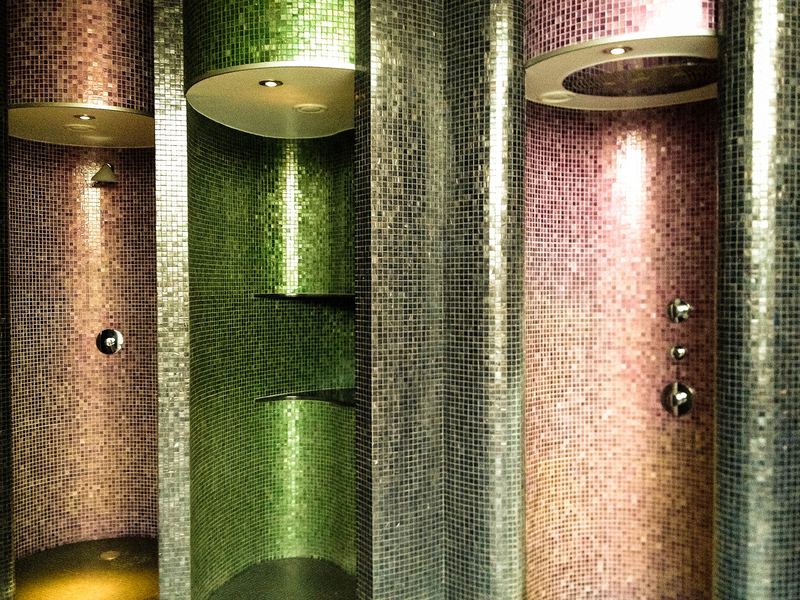 The experience showers were painted in flamboyant, deep, shimmering greens and purples. The lavish water wall and opposing fireplace added even more drama. I must say, the art nouveau concept, and the extravagant design aspects were breathtaking. After the tour, I was given a luxurious cream bathrobe and a pair of Espa slippers, and was shown to the changing rooms on the 3rd floor. 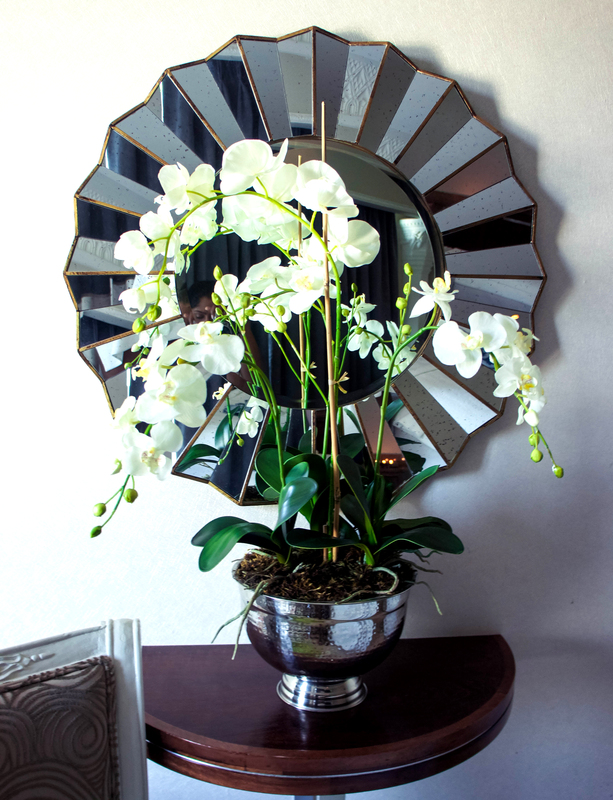 I was happy to note that the sleek designs and lavish nature extended to the changing areas. 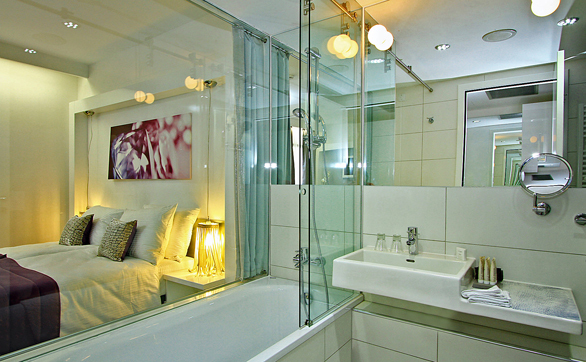 I quickly showered (using the luscious Espa bath products provided) and headed for the indoor swimming pool. The water was so warm! I enjoyed a few laps before I tried the 1st floor steam room. For the next hour or so I alternated between the saunas, steam rooms and lap pool. I was advised to wait for my therapist in the relaxation area on the 6th floor five minutes before my treatments were to begin, so I made my way up there with enough time to enjoy the outdoor vitality pool. I must admit, this was my favorite of all the ‘heat and water’ experiences. It was a very cold morning, and the incredibly warm water condensed into the icy air generating puffs of steam clouds that created an eerie, yet mysterious setting. At this point, I couldn’t see how it could get any better; I was loving every moment of luxury in these stunning surroundings. 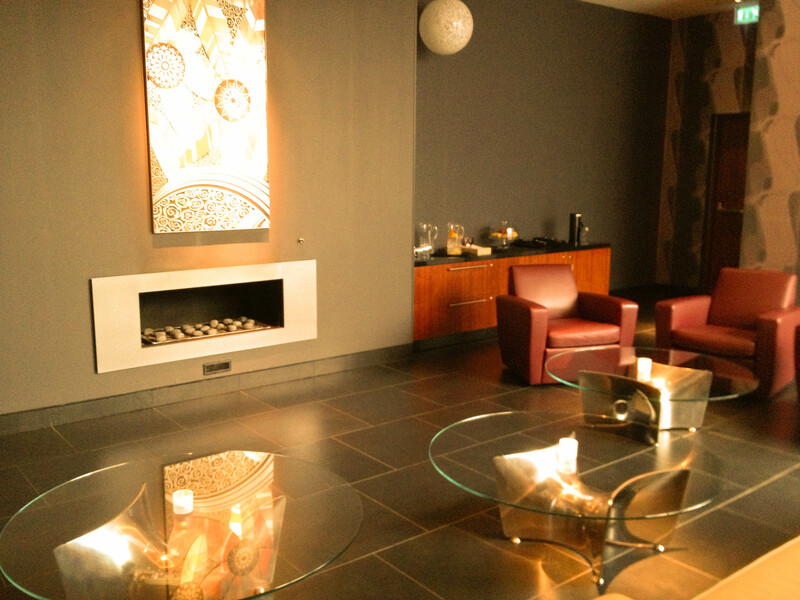 After my swim I helped myself to a serving of green tea whilst I gazed at the impressive granite fireplace. I still had plenty of time so I knew I had to check out the Rondello sauna. To be fair, the sauna was incredibly beautiful and featured an amber glass skylight, but really, it was just a sauna. I took a walk around the 6th floor and noticed the individual steam ‘pods’ – what a perfect idea for those seeking some solitude. At that point, since I had finished my ‘touring’ I made my way to the female relaxation room to await my therapist. I reclined into one of the incredibly comfortable loungers plugged in my iPod, and almost dozed off! My therapist arrived promptly at 5 minutes to ten. 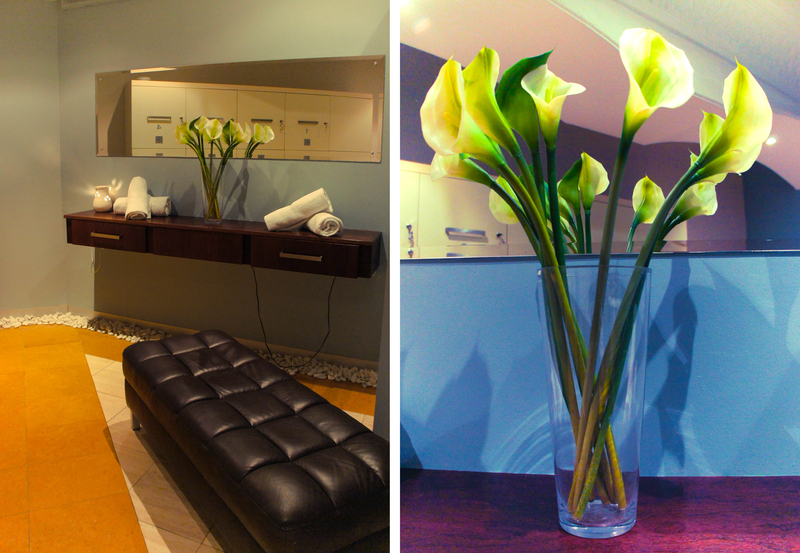 I was escorted to the therapy room, which was decorated in opulent deep purple. She asked me some standard questions, and gave me the privacy to undress and get comfortable. 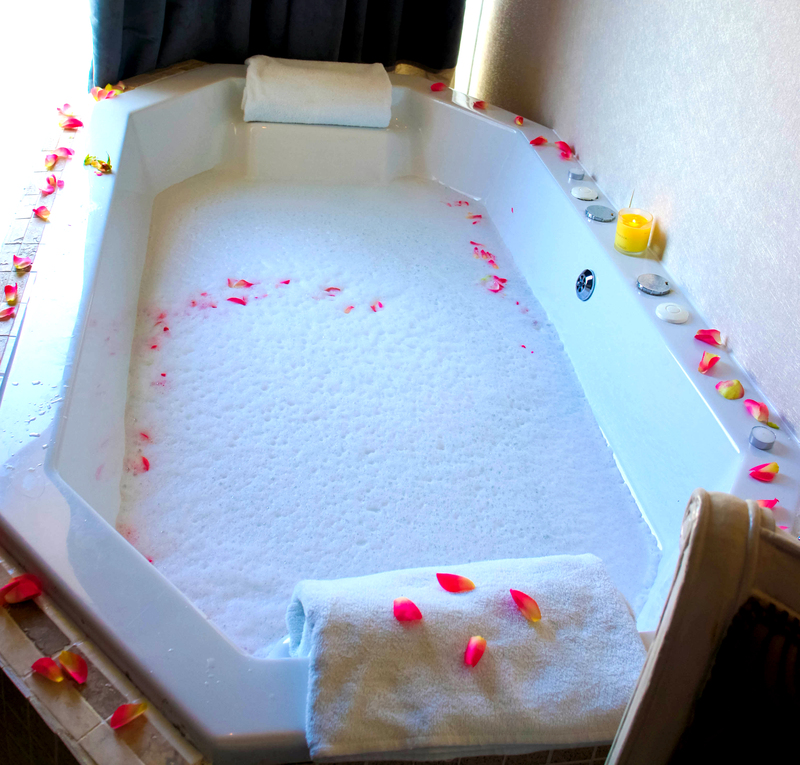 We began by choosing the scents and oils I preferred, and commenced with the back massage. 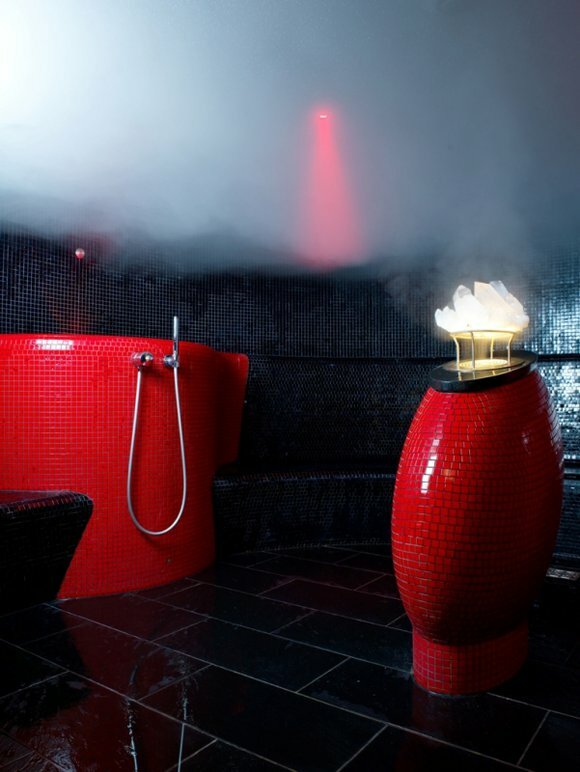 I was expecting a heavenly experience, just by observing the standards I’d already become accustomed to at Espa Riga. But in the interest of being totally honest, it was not the best massage I’d ever received. Not by far. I asked for more pressure several times, but eventually gave up. It was over pretty quickly, thankfully, and we then moved on to the head massage. Now, this, I loved. Just the right amount of pressure, and she hit all the right spots. I closed my eyes and enjoyed every moment. Before I knew it, she was waking me up from a relaxed sleep. We paused a little after the head massage as the therapist undertook a basic skin analysis in order to determine which products to employ for my facial. Cool cotton swabs were placed on my eyes, and before she started, she placed each of my hands inside a hot paraffin glove. The gloves were heated to perfection and my hands loved the treat. With both hands snuggled inside their piping hot cocoons, she commenced my facial. The products were very luxurious, and felt rich and velvety against my skin. I enjoyed the rhythmic strokes she utilized at each step of the cleansing, exfoliating and moisturizing process. The effects were immediately noticeable, and my skin felt smooth and polished. After the facial, she removed the paraffin gloves and gave me a brief but gratifying hand massage. Before I knew it, my session had come to an end. I was given some time to slip back into my robe before the therapist returned with a product card. She ticked all the products that she used during my treatment session, and a few others that she thought would suit my needs. 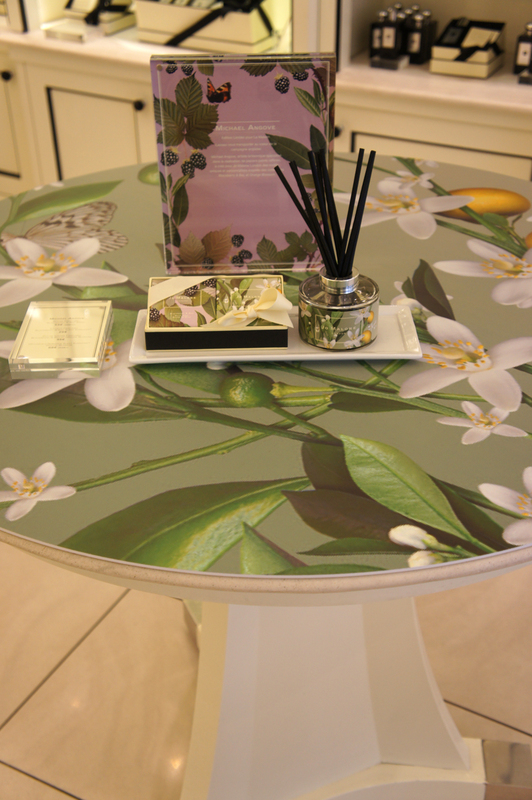 Of course, I was advised that each of these products were available for purchase at the Espa Riga shop. It was an obvious sales pitch, but it was not executed in a way that made me feel pressured to purchase anything. 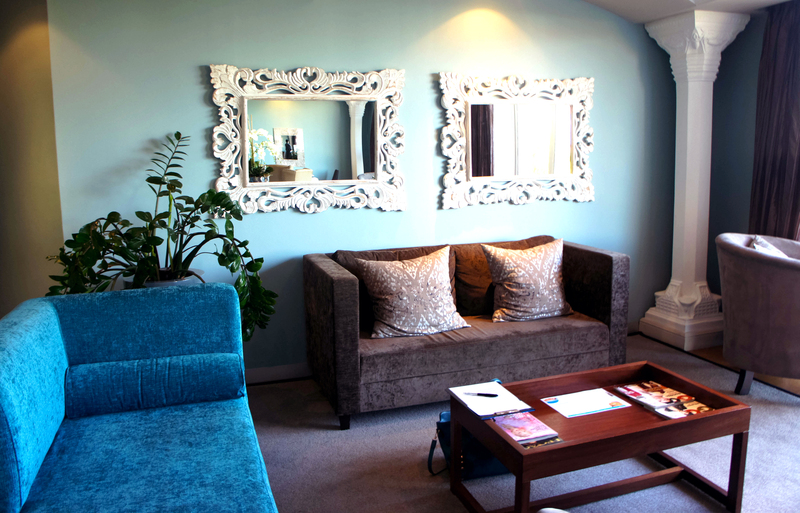 When I was ready to leave the lush purple treatment room, I was escorted to the 5th floor relaxation area. This area is off-limits to general spa users, and only accessible to people actually receiving spa treatments. The room was darkened and lined with the same ergonomic recliners as the one before. 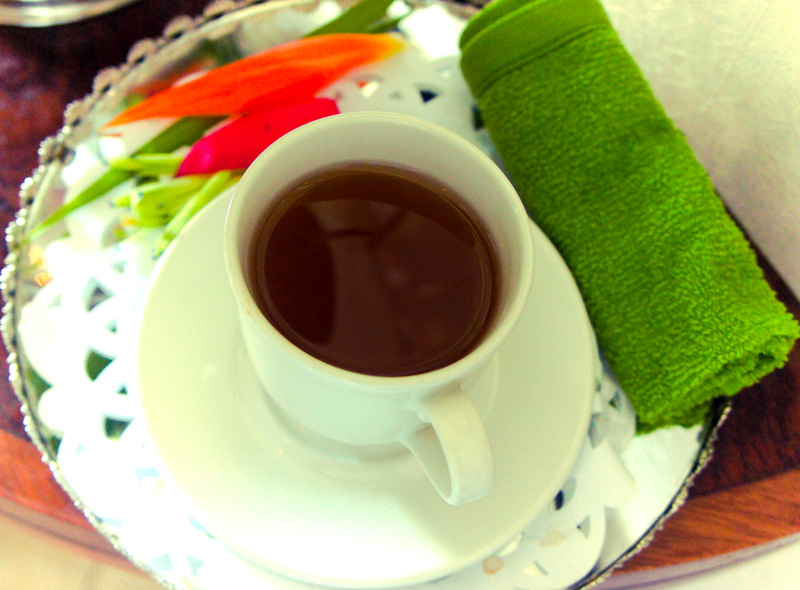 Before I got comfortable, I helped myself to another green tea, and plate of nuts and dried fruit. It was perfectly quiet and I lay there totally relaxed for a few minutes before in barged 2 very loud women, badgering on about the massages they had just received. My solitude being broken, I retreated to the change room where I took a lengthy shower, washed and dried my hair, and even styled it using the ceramic straighteners available in the changing area. I returned the slippers and bathrobe, asking the attendant if the robes were for sale. I was interested in purchasing one, as they were extremely soft and comfortable. Unfortunately the robes are not available for purchase, which I found strange, as the shop sold every Espa product you could dream of, and more. I made my way to the 2nd floor where the Espa Café is located. 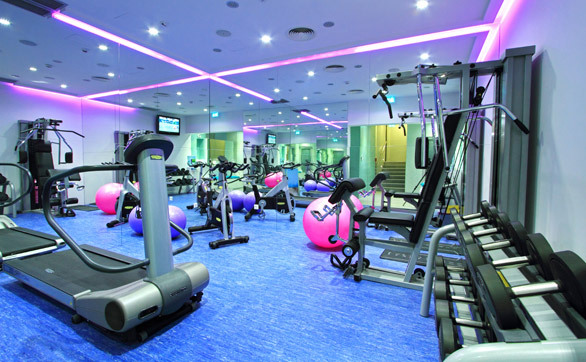 This floor also houses a fitness studio and the nail bars. 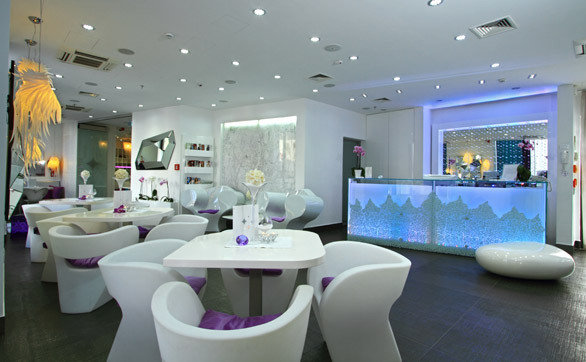 The design feel of the spa extended even to the café, and the avant-garde décor included rich black tables and purple leather booths. 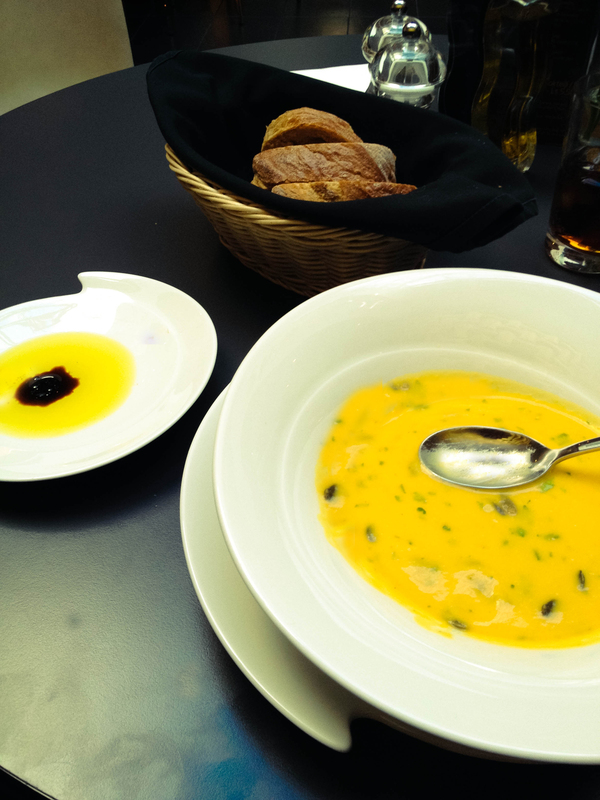 My two-course meal commenced with the pumpkin and sweetcorn soup, served with hunks of fresh, warm bread. I love pumpkin soup, and wouldn’t have thought I would have had the best pumpkin soup at a spa café! I chose fish for my main course, which consisted of a cod fillet served on a bed of shaved potato slices and tomato purée. I enjoyed both courses immensely. While the portions were on the tiny side (think minimalistic i.e. large white spaces on the plate with creative brush strokes of sauce), the presentation of the dishes was immaculate and the food was very tasty. I can deal with tiny portions if at least it’s not pretentious. I rounded off the satisfying meal with a strawberry smoothie. And so concluded my day at the Espa Riga. What did I think of it? Well, I loved the feeling of luxury that enveloped me as soon as I stepped through the glass entrance doors. I felt like royalty as I enjoyed the various heat and water experiences. I will never forget that feeling of being surrounding by condensing clouds on that freezing morning in the outdoor rooftop pool while I floated, cocooned in the warm water. 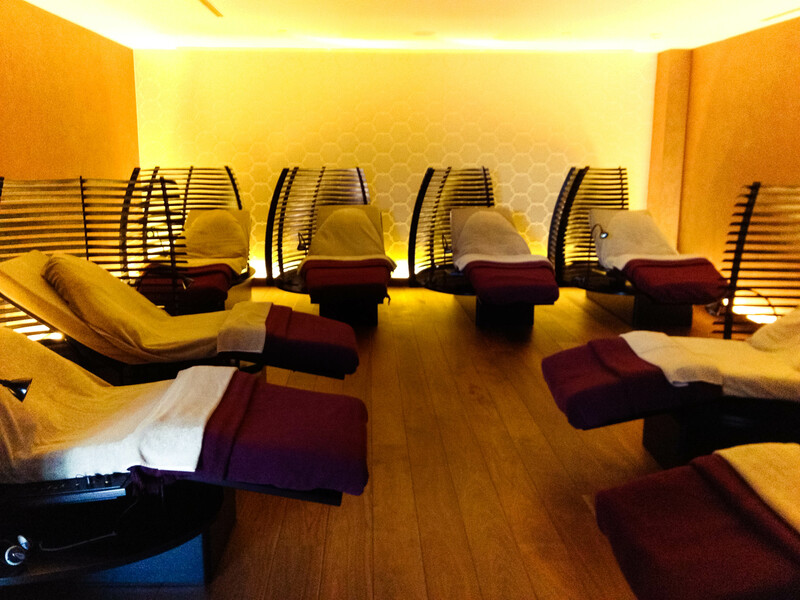 While my massage, the focal point of my days’ treatments left a lot to be desired, the feeling of opulence that Espa Riga provided transcended that disappointment. Would I go back? Most definitely! 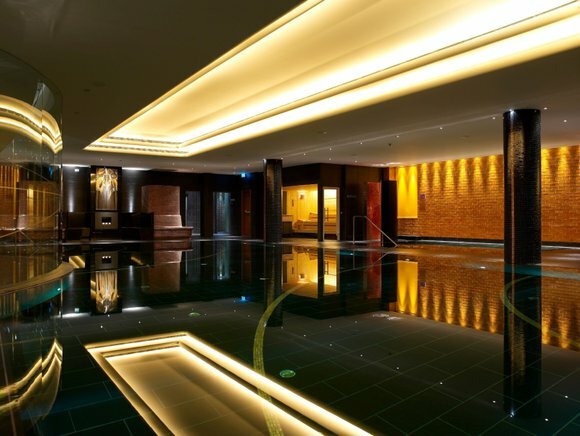 NB: Due to the low level of lighting inside Espa Riga, the picture quality may be affected. For this reason, and due the fact that I enjoy providing images for all my reviews, I have supplemented my own photos with a few official photographs from http://www.espa.com. Disclaimer: No part of this spa experience (travel, accommodation or otherwise) was paid for by Espa Riga. The views expressed in this review are from my own personal experience, and have not been prejudiced in any form.